The Memphis Jug Band was an American musical group in the 1920s and 1930s. The band featured harmonicas, violins, mandolins, banjos, and guitars, backed by washboards, kazoo, and jugs blown to supply the bass; they played in a variety of musical styles. Between 1927 and 1934 various African-American musicians in the Memphis, Tenn., area grouped around singer, song writer, guitarist, and harmonica player Will Shade (also known as Son Brimmer). The personnel of this jug band varied from day to day, with Shade booking gigs and arranging recording sessions. Between 1927 and 1934 various African-American musicians in the Memphis, Tenn., area grouped around singer, song writer, guitarist, and harmonica player Will Shade (also known as Son Brimmer). The personnel of this jug band varied from day to day, with Shade booking gigs and arranging recording sessions. Among the recorded members were (at various times) Will Shade (vocals, guitar, harmonica), Charlie Burse (pronounced Bursey) (guitar, mandolin, and vocals), Charlie Nickerson (piano and vocals), Charlie Pierce (violin), Charlie Polk (jug), Tewee Blackman (vocals, guitar), ?Hambone? Lewis (jug), Jab Jones (jug, piano, vocals ), Johnny Hodges/Hardge (piano), Ben Ramey (vocals and kazoo), Casey Bill Weldon (guitar and vocals), Memphis Minnie (guitar and vocals), Vol Stevens (vocals, violin, and mandolin), Milton Robie (violin), Otto Gilmore/Gilmer (drums and woodblocks), and Robert Burse (drums). Vocals were also provided by Hattie Hart, Memphis Minnie, Jennie Mae Clayton (Shade's wife), and Minnie Wallace, with Charlie Burse often contributing beautiful harmony parts to Shade's lead vocal lines. In the case of Memphis Minnie, the Memphis Blues Band accompanied her on two sides for Victor Records, recorded in 1930 when the band's career was "winding down". The attributed names of the group led by Shade on various recording labels vary quite a bit, but recent scholarly consensus has led writers to compile all of these works under the over-arching rubric of the Memphis Jug Band. In addition to that name, alternative names found on record labels include the Picaninny Jug Band, Memphis Sanctified Singers, the Carolina Peanut Boys, the Dallas Jug Band, the Memphis Sheiks, the Jolly Jug Band and recordings credited to the individual performers Hattie Hart, Minnie Wallace, Casey Bill Weldon, Charlie Nickerson, Vol Stevens, Charlie Burse, ?Poor Jab? Jones, and Will Shade, but actually performed with accompaniment by other Memphis Jug Band members. 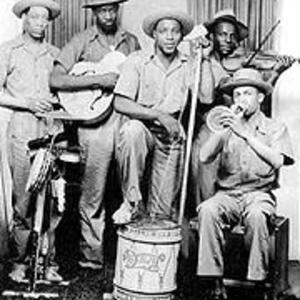 Musically their large membership pool allowed the Memphis Jug Band the flexibility to play a mixture of ballads, dance tunes, knock-about novelty numbers, and blues. Some of their songs mention hoodoo magical beliefs, and some members also contributed to gospel recordings, either uncredited or as part of the Memphis Sanctified Singers. The Memphis Jug Band has been described as having a remarkable sound due in part to the unusual instruments. Although most songs included a rhythm guitar and either a jug, a kazoo or a harmonica as a lead instrument or sometimes a mandolin or violin. The sound of the instruments ofen conveyed a "raspy, buzzing sound" that a Briish music scholar who did not know the band personally stated was close to the musical aesthetic of Africa, and in which, he said, the jug and kazoo represented the voices of animals or ancestral spirits. Shade never told scholars why he liked this sound, and since many of the performers were also part Native American, it is a good question as to which ancestors?if any?the kazoo was supposed to represent. The Memphis Jug Band played wherever they could find engagements, and busked in local parks. They were popular among white as well as black audiences. In total, they made more than eighty recordings, first for Victor Records, then?as the Picaninny Jug Band?for the Champion-Gennett label, and finally for OKeh Records. The Victor recordings were made in Memphis and Atlanta, Georgia between 1927 and 1930, the Champion-Gennetts in Richmond, Indiana in August 1932, while the final sessions on Okeh were held in Chicago in November 1934. By that time, their style of music was no longer in demand, and Shade was no longer able to keep the musicians assembled as a group, although many of the individuals carried on working around Memphis until the 1940s. In 1963 Shade recorded one last time with another Memphian, 79-year-old Gus Cannon, former leader of Cannon's Jug Stompers, another popular jug band. They recorded the album Walk Right In, on Stax Records, a result of The Rooftop Singers having made Cannon's "Walk Right In" into a number one single. Will Shade on jug and former Memphis Jug Band member Milton Roby on washboard perform a series of thirteen traditional songs, plus Cannon's great hit "Walk Right In," including "Narration," "Kill It," "Salty Dog," "Going Around," "The Mountain," "Ol' Hen", "Gonna Raise A Ruckus Tonight," "Ain't Gonna Rain No More," "Boll-Weevil," "Come On Down To My House," "Make Me a Pallet on Your Floor," "Get Up In The Morning Soon," and "Crawdad Hole." The album is almost an audio documentary tour through different corners of Cannon's life and career that, ideally, might've run to several volumes.